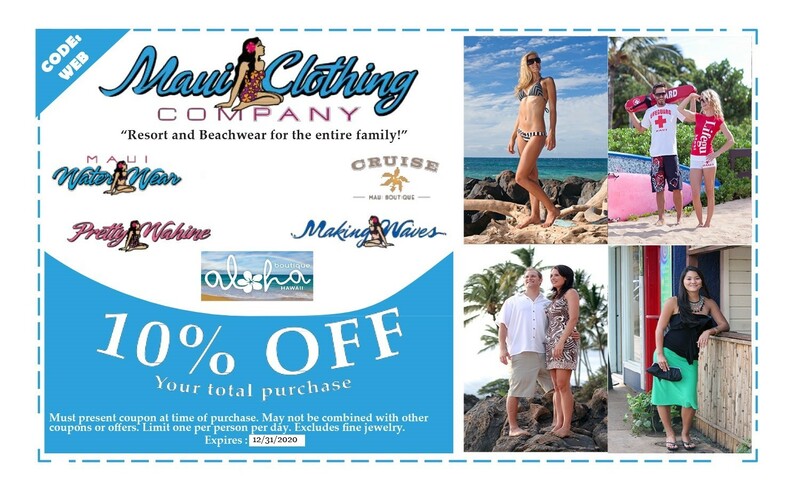 Maui’s fashion port of call! At Cruise you’ll discover the perfect ensembles for the pool or the beach to make you look and feel amazing. Come check out the latest swimwear collections featuring Letarte, a world renowned label...designed right here in Maui! Letarte’s island designs embody the spirit of the South Seas in every tropical creation. Their intricately detailed swimsuits adorn Hollywood’s elite and have graced the cover of the Sports Illustrated Swimsuit Edition. Cruise offers the hottest styles from top designer labels like Gottex, Seafolly, Trina Turk, Betsy Johnson, Vix and La Blanca. We also boast a beautiful selection of women’s resort and fashion apparel, featuring designers such as Joseph Ribkoff, Desigual, XCVI and Michael Stars. Compliment any outfit with jewelry designed by local Maui artists.